Don't forget to enter for this giveaway package. Go to Christie Cottage, at http://christiecottage.blogspot.com/2012/02/win-it-wednesday-new-giveaway.html, for details on how to enter. Giveaway ends 2/22/12 so don't miss out!!! Many people will think of Sage only during cooking but it not only does it work well to season meats it has deep spiritual meaning, many medical purposes, cosmetic properties and is used in aromatherapy. Sage is a very pretty plant when it is dried and combined into potpourris, posies and other dried arrangements. While the leaves are hardy and hold its shape well when mixed with other herbs in natural craft, they are a delicate silver - minty shade of green that adds a delicate touch. 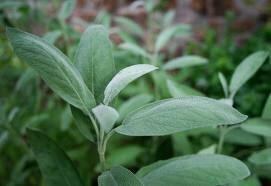 The leaves of the sage plant is used to created the essential oil. Unlike some other plants the leaves are first dried before the distillation process, making the true essential oil slightly more expensive than others. One very use is to bundle dried or fresh sage into a smudge stick, an Native American tradition used to cleanse rooms of negative energy and to purify the space along with the persons inhabiting the area. Making your own smudge stick is as easy and I found a very quick video on Utube that describes a quick and easy way to make one. If possible use red hemp or cotton as it is the traditional color of the binding. 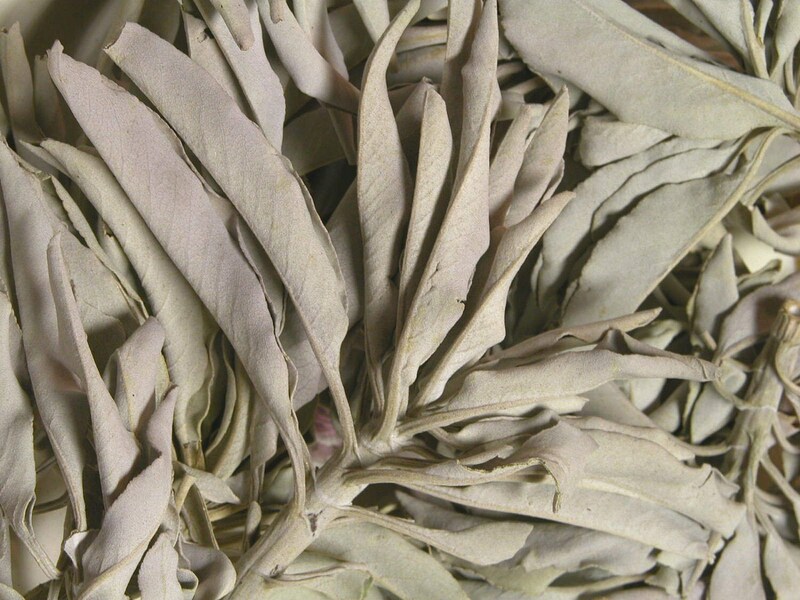 In the holistic world, Sage, is know for its nervine and antiseptic properties. It has been used in salves and rubs to help relieve some of the painful symptoms of rheumatism. Topically it is also known to be used to cleanse and help heal skin conditions. Cosmetically it has been used in gargles and deodorants to combat offensive odors. Using sage in aromatherapy is shown to aid in relieving nervous tension. Sage oil is very relaxing and can be added with other essential oils such as lavender to create a nice soothing atmosphere. Here are some products that are already made for you from my favorite ETSY shops. As with all aromatherapy and natural products it should always be discussed with your physician prior to use and Sage should not be used as a therapy for pregnant women. Please always make sure you are not allergic to any products or herbs prior to use. I love sage for smudging. It's so fresh and clean.